Science, Technology, Engineering and Mathematics (STEM) is in almost every aspect of today’s world. The Marist Primary School is committed to engaging the children naturally in early STEM exploration through hands-on multisensory and creative experiences and in so doing, the children are developing curiosity, inquisitiveness, critical-thinking and problem-solving capacities. Some examples are given below. 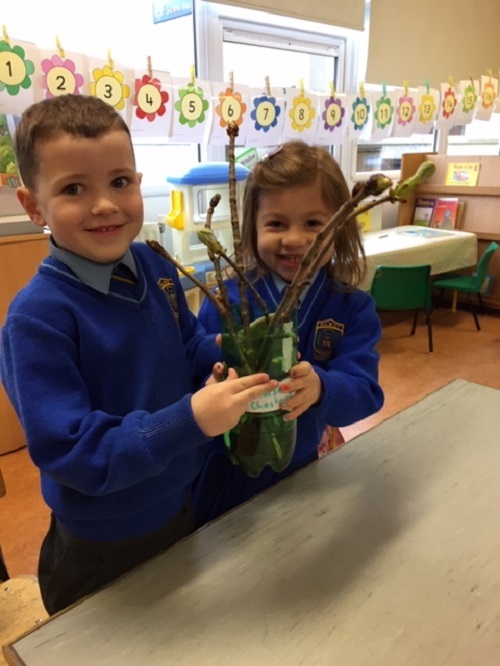 Science : The children in Junior Infants enjoyed exploring and analysing the buds of different trees. The children observed the differences between the buds of the Horsechestnut Tree, the Lime Tree, the Oak Tree and the Beech Tree. The children noticed that some of the buds were sticky, some were red, some were brown, some pointed and some were round. The children also explored the different bark of each tree. Technology and Maths :The children used colours to predict which bud of which tree would bloom first and this data was graphed. Most children (8 children) choose the Oak Tree, followed by the Horsechestnut Tree (5 children choose this), then the Lime and Beech Tree (2 children choose these trees). The children examined the twigs everyday to see any changes that occurred. Show and Tell :The children visited Ms Barrett's class and explained the difference between the twigs when they first examined the twigs and how they changed, which tree bloomed first (the Horsechestnut), which bloomed second (the Lime tree) which bloomed third (the Oak and finally the Beech tree and described how the leaves were different. Some had five leaves, some had single leaves. 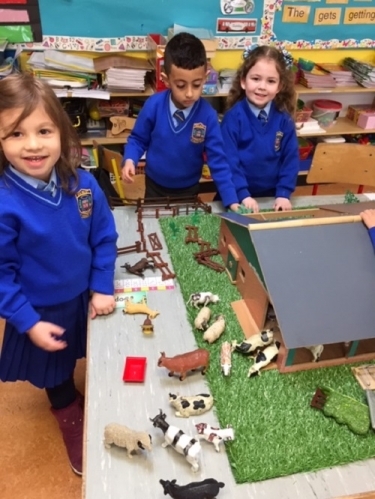 Science and Maths: The children in Junior Infant were learning about the different farm animals, their mothers and babies and the buildings they live in. We did a survey on the children's favourite animals and graphed the results. More children choose the horse as their favourite animal than any other animal. 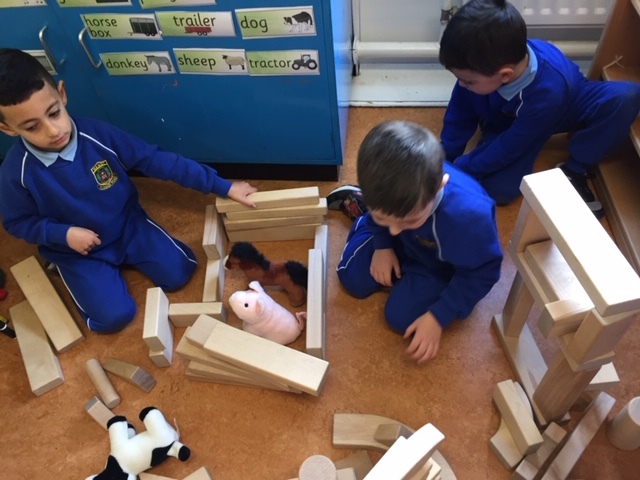 Engineering: The children explored building different types of barns, kennels, stables and chicken coops.